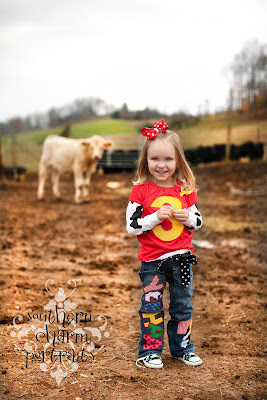 Polkadaisies Boutique Children's Clothing and Gifts: Polkadaisies & Southern Charm Portraits...YEE HAA! 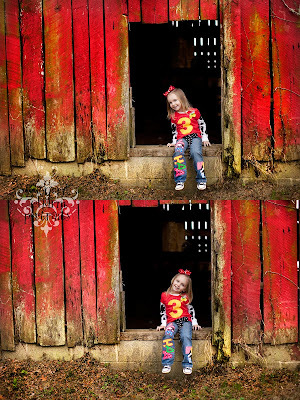 Polkadaisies & Southern Charm Portraits...YEE HAA! Happy Birthday Miss Reagan! 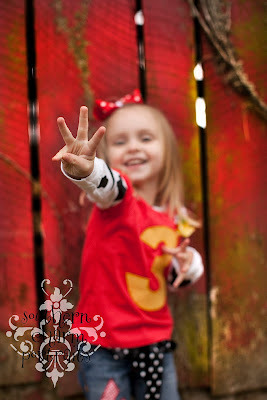 Reagan turned 3 this week and I was so excited to be able to make her "yee haa" outfit. 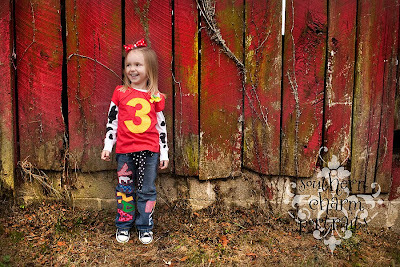 I was real pleased with the outfit, but I totally LOVE the pictures. I think they are perfect and if they don't sell some more "yee haa" outfits, then nothing will. I have been wanting to do the cow print sleeves for a while ( a thought that came to me while I was trying to go to sleep) and was so pumped when I finally had a good opportunity to do it. I just love creating things that you can't just run out and buy. 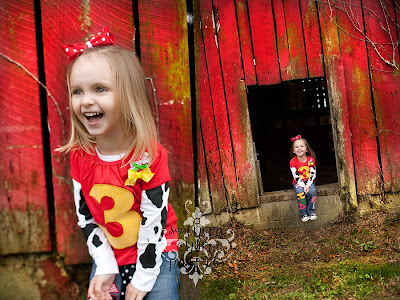 Could you imagine having to go out and find a toddler size shirt that had cow print sleeves? It makes things unique and different and that is what I love. Thinking of things that I haven't seen anywhere is what I get the most joy in making and there's nothing better than seeing them on the person they were made for. 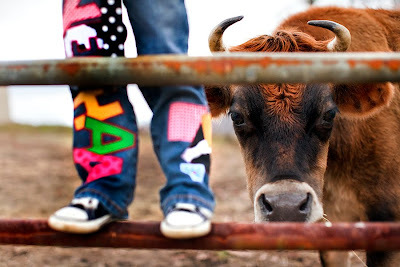 Reagan is such a sweetie and she had a wonderful "cow party" as the kids would say. YEE HAA!